November 5th, 2011 (8:41 AM). Edited 4 Weeks Ago by miksy91. What happens if you mix a traditional Pokemon game with an RPG such as Final Fantasy or Chrono Trigger? If you get stuck, you should try talking to people around the area, and see, if someone can give you advice, how to progress forward. But if you run out of options, you should check the FAQ below. Do yo need help to get the hack running? You'll first need a Pokémon Silver (U) rom, and an ips patching utility such as Lunar IPS. Open the utility, and apply the Dark Energy Beta 5.01.ips patch onto Pokémon Silver (U) rom. Then you can play it via any GBC emulator. Pokémon Silver (U) rom is something you can find by googling. FAQ contains some spoilers, and it's thus hidden by default. Can you think of something else that should be covered in FAQ? Let me know for example here in the thread. Where do I find the Running Shoes? Running Shoes can be received by escorting the little girl, who's next to the university, back home. Where do I find the Town Map? There's a man in Little Stone who's selling this item. How can I get past North Star? You'll need Woolly Hat in order to withstand the cold. And you'll receive that item as a reward for beating Brady, the gym leader of Little Stone. Also, DO NOT use turbo speed in the cave! In a place called Milky Village, you should receive your first Page. This Page is a key item which you can insert to the book in Area 104. After inserting the Page, you will find out, what a De-Stone is for. How can I reach Prof. Joke? As long as you're carrying 6 Pokemon, Prof. Joke's assistant will keep sending you off. Return to the lab with 5 Pokemon at maximum. Are you kidding me? Should I really enter the Cave of Illusions? Yes, but that place is far from as confusing as you might think. Inside, you'll run into a person who you must follow. Keep following him, and you'll eventually learn, how to pass the cavern. Don't worry about getting stuck. It's made certain you won't. A thief stole my money and ran away. Where did he go? If you talk to people around the area, they will tell you if they have seen the thief. That way, you can find out where the thief has gone, and eventually get your money back. Perhaps you will receive some other stuff as well..
Are shinies more frequent in this hack? Yes, around 1% of the wild pokemon are shiny. Pokemon, you encounter via events, may also be shiny by default (cough.. Squirtle.. cough). Where can I find the HMs? HM07, Waterfall, will be obtainable in an upcoming release. This also means that a certain sector of Rocky Mountain is not accessible yet. The last area you can access is Rocky Village. There you will receive a certain quest you must do. Beta 5 ends at a certain point during this quest by notifying that the following parts of the hack are yet to be done. How much gameplay does the hack offer? Beta 5 offers hours and hours of (possible) excitement, and finishing its main story part should take longer than becoming Pokemon champion in Pokemon Silver. If one also counts all the sidequests as part of the gameplay, the hack takes longer to finish than the whole Pokemon Silver. Can I continue Beta 5 with my Beta 4.1 save file? Sadly this isn't possible because I have done quite some changes to the Beta 4 content of the hack. But if you don't want to start over from the beginning, you can continue with the save file you can find at Downloads section. The "Battle Simulator" functionality has gone over lots of changes since that video was recorded. But the video does give a general idea of the functionality. Beta 5.01 is an almost bug free version. Most bugs are so minor they don't really affect the gaming experience. There are however lots of small grammar errors out there due to the fact that I, as the creator, am not a native English speaker. Have you noticed errors you'd like to report? First check if the error you noticed is already listed here. If it's not, you can for example mention it here in the thread. Most up-to-date release from March 2019. Unlike originally available Beta 5.00, this one doesn't crash in player's room on My OldBoy emulator. No other changes between these two versions have been made. This release offers hours and hours of gameplay, but the hack isn't complete yet. See FAQ for extra details. In case you had played Dark Energy Beta 4 before, and don't want to start over from the beginning, you can continue with this save file that is close to the point where main quest ended in Beta 4. There have been some interesting changes to Beta 4 content though, so you could also consider starting to play right from the beginning. You unfortunately won't be able to continue with your own Beta 4.1 save file. There have been so many changes to Beta 4 content that making such thing possible would have been time-consuming and even quite difficult. In order to avoid work that would have simply gone to waste for future players, I decided to instead provide you this save file you can use if you really want to. To make the game recognize this save file, just put in the same directory with the rom file, and give it the same prefix. As an example, if the name of the rom file is "Dark Energy Beta 5.01.gbc", name this one "Dark Energy Beta 5.01.sav". In case you're interested, you can find my other (though much worse) hacks in this website. November 6th, 2011 (1:29 AM). More than 16 gyms? Cool! Are some of them going to use more than one type? Lots of other boss fights? Are you gonna fight Rocket Executives, wild Pokemon bosses, and other cool stuff like that? I'm definitely looking forward to this! November 6th, 2011 (2:01 AM). Edited November 6th, 2011 by GliscorOwnz. 16 Gyms ? Very Unique. But The Storyline Is Okay ..
November 6th, 2011 (6:07 AM). Now that I think about it, I'm not sure if there actually are more than 16 gyms in the final version - it will depend on how many towns/cities there will be in the eastern side of Suden. You won't gain badges in the game though so it doesn't really matter how many of them there will be in the final version. When I Try To Click " New Game " It Takes Me Back To The Title Screen, HELP ? You must have used some other rom file than Silver (U) 1.0. There should be an option to go either to "Start" or "Options". November 6th, 2011 (7:42 AM). I've been following this on Youtube as HarlenSama, and I just wanted to say that I support this as much as I support all other Miksy hacks. Although, I think I'm going to wait until the final version comes out to play, no matter how long it takes, I just don't want there to be any more spoilers for me other than what's on this thread and on your videos until I can complete the game. But, I am very excited for this and I don't care how long it takes, I support you 100 percent Miksy. November 6th, 2011 (8:57 AM). Aww yeahh, good ole G/S/C hacks. November 7th, 2011 (1:41 AM). November 11th, 2011 (11:38 AM). Perhaps it will change once I get the beta 2 out. Anyway, I've finished putting in almost everything I want for the next beta. Only things I've to do now is to fix a couple of things and play it through to check there are no bugs etc. Now, it looks like that I'll get the release up until 27th November (because I don't have time to hack on week). November 12th, 2011 (11:37 AM). November 12th, 2011 (10:46 PM). I played the first beta, it's pretty good. Can't wait for the next one! November 13th, 2011 (12:15 PM). Wow, long time since I saw a hack of GSC. November 16th, 2011 (5:13 PM). hey miksy,its me. If you need help with graphic works,i can help. By this time,im making crystal/silver sprite recolors using b/w palettes,and removing grainy style. And i'm glad if you are interested. November 17th, 2011 (6:33 PM). Ill be sure to play this. great job! Msg me if you want to challenge or trade im a pretty good player. November 18th, 2011 (10:10 AM). 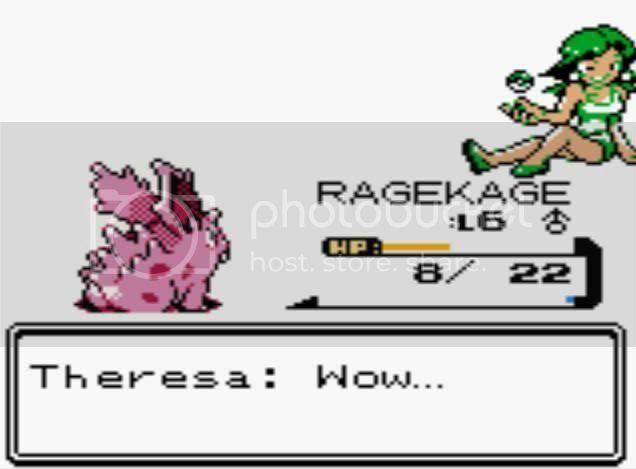 Wow, a Pokemon Silver hack? Interesting. I'll have to check this hack out when I get home. November 23rd, 2011 (9:27 AM). Thanks for the comments although I haven't gotten much feedback on the hack itself. Anyway, I've beta tested the hack through and will fix a couple of bugs next. November 24th, 2011 (10:40 PM). I have one complaint. Judging by the town map, don't you think that this region is a little too linear? It's just a gigantic loop around the map. November 25th, 2011 (6:03 AM). Edited November 25th, 2011 by miksy91. I guess you're right, I'll see what I can do to the right part of it (because left has been already been done and I won't change it anymore). Beta 2 has been released !!! Yes, I've finally finished and beta-tested Beta 2 of Dark Future and the hack should work properly. There are some minor bugs in which palette changes oddly (due to Morning, Day and Night palettes) but I didn't run into any bigger problems than that. Anyway, Beta 2 is approximately twice the length of Beta 1, perhaps even more. Besides, there will be new major events and gym leaders to be fought. Download Beta 2 in the first post and comment how it is when you've tested it ! Not many of you noticed it yet but Beta 2 was released today. November 26th, 2011 (4:08 AM). Beta 2.1 is finally here ! Downloadlink can be found in the first post. Play it and reply what you think about it ! November 26th, 2011 (4:20 AM). November 26th, 2011 (5:11 AM). December 3rd, 2011 (6:06 PM). really fun gameplay and quite different from the regular hackz. faint in it due to the cold. Any help here ? - you cannot approach your mother from the side-ways. - Sometimes the ability to talk with npc's is locked and can be retreived only when I'm the leaving the builduing I'm currently in and then re-enter. December 4th, 2011 (5:42 AM). faint in it due to the cold. Any help here ?. The people in Little Stone say that you need protection against cold to pass it. Woolly Hat can be received in Little Stone and I'm going to write in the spoiler what to do to get it. You're supposed to get Itemfinder from "Treasure Hunter" and find the "Key" for the locked gym (he tells you that the key is missing and might still be in the town). After getting the Itemfinder, go outside and use Itemfinder next to the mart and it will respond for a hidden item (which is the Key to the gym). Now, find the Key and go to beat the gym leader of Little Stone - she will give you Woolly Hat. About the other bug, I haven't noticed this happening and it shouldn't either. Are you sure you patched the ips-file to a clean Pokemon Silver (U) rom? December 4th, 2011 (4:30 PM). I played this for a bit, it's not too bad. The storyline is kind of boring, though. I skipped most of it. 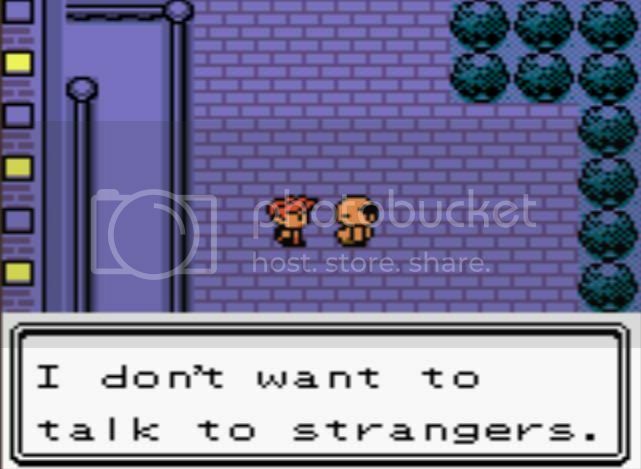 Oak never stops talking. The towns/cities are oddly shaped, every time I went south/north or east/west it felt like I had just gone onto a Route. ...But it turned out to not help me vs the Gym at all, which seems overpowered to say the least. December 6th, 2011 (12:06 PM). I like it! I personally like the storyline. I'll be watching for the next beta. December 9th, 2011 (9:15 AM). I don't understand where you're trying to get by all the other complaining but I can at least answer the questions above. The storyline is more like what RPG games would have - this game isn't about pokemon as much as any other game (and I won't plan to make it a normal pokemon game either). About towns and cities; why's that ? what's making them think you're going onto a route ? I don't get it - Gamefreak could have created maps similar to ones of my own. I know that it looks weird that a person is trying to hop on the mart but that thing is related to the gameplay later on.